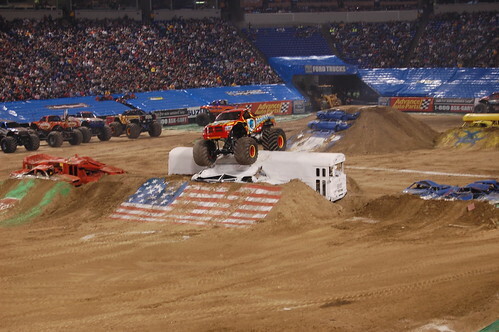 A few weeks ago I took Grant to Monster Jam at the Metrodome in downtown Minneapolis. For some time now, my son has been fascinated with monster trucks, largely due to his love of the cartoon series BIGFOOT Presents: Meteor and the Mighty Monster Trucks, which features talking monster trucks who have adventures that all revolve around smashing cars, jumping off ramps and mudding. 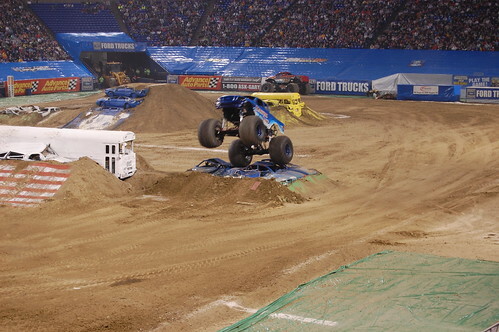 Being a man and all, I inherently love the concept of monster trucks. Giant tires. Roaring engines. Smashed metal. Brutal car-on-car violence. What’s not to like? But I can’t say I had ever considered actually going until seeing Grant’s reaction to the SUNDAY SUNDAY SUNDAY! 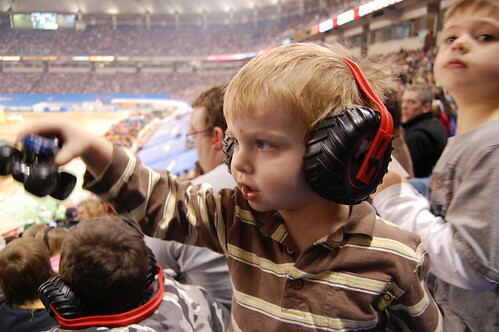 Monster Jam commercial (to be honest, it was a Saturday, but you get the idea). It was AMAZING. I know I had just as much fun — or more — than he did. Except Grant’s talked about it every single day since January 17, and much to his mom’s chagrin, we frequently reenact sweet ramping jumps off the living room’s ottoman. Previous Entry Punxsutawney Phil on Twitter: a lost opportunity?